I wanted to test a grey horse. Quite satisfisfy with the resulte! Hope you all like it! Creations ubmitted to the Creation Space on Equideow[Howrse]! Beautifully done! I love the way you handled your greys, nothing looks muddied and everything reads very clearly! I particularly love how you put your darkest greys/blacks next to the silvery grey, it really makes it stand out! The wings also look lovely. <3 Overall this is a great piece! There's tons of talent in this piece, I know I can learn a thing or two from it! Keep on keepin' on! Can't wait to see more. 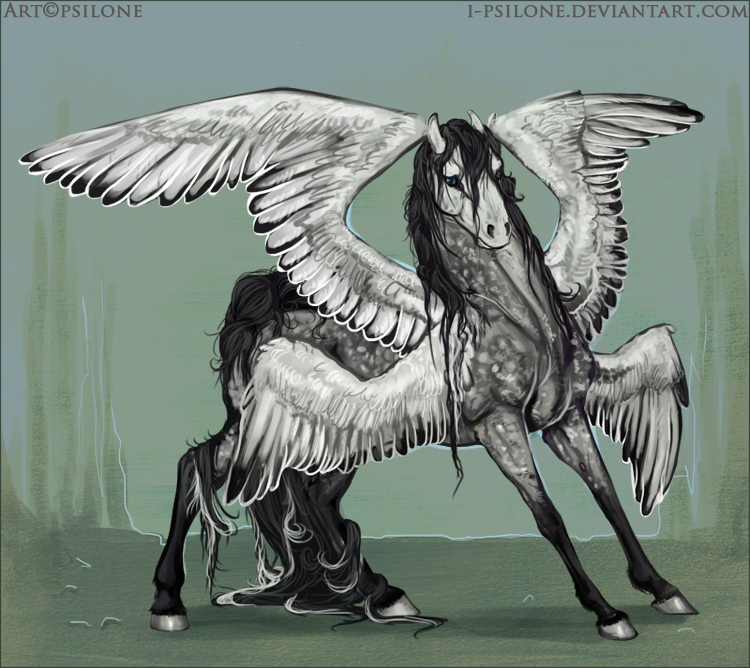 The shapes the four wings make are quite interesting, and the mane and tail hair are really yummy ^^ .